For just a few more weeks (until Oct. 29) visitors to London's W Hotel have the opportunity to try out designer, Ron Arad's literal reinvention of the wheel. 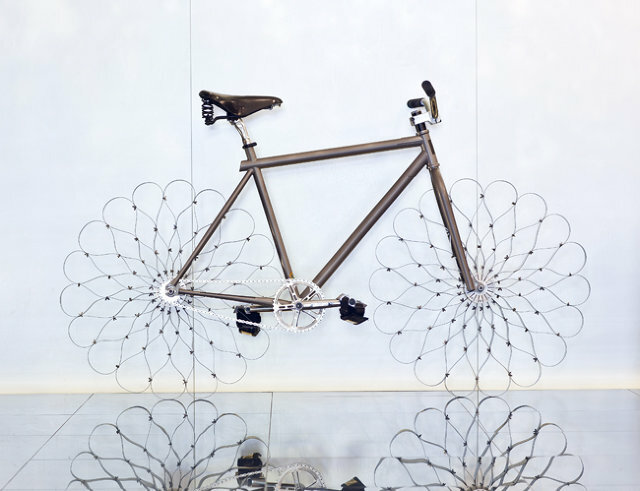 The 18 individual strips of sprung steel supposedly create a pretty smooth ride, the faster you go. Art in motion.